President and Mrs. John F. Kennedy smile at the crowds lining their motorcade route in Dallas, Texas, on November 22, 1963. 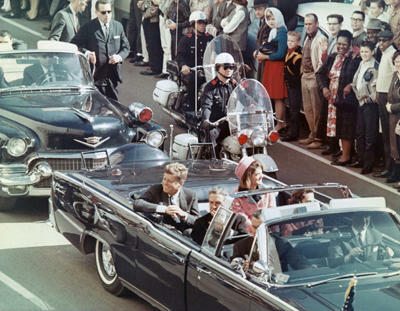 Minutes later the President was assassinated as his car passed through Dealey Plaza. In Cold Case JFK, NOVA follows a unique group of experts trying to unravel the lingering mysteries of the Kennedy assassination. What should have been a homicide investigator’s best-case scenario—a crime that occurred in broad daylight in front of hundreds of witnesses—instead became a forensics nightmare in a case plagued by a mishandled crime scene, a controversial autopsy, and a prime suspect gunned down while in police custody. NOVA combines cutting edge technology and contemporary scientific techniques with archival footage and expert interviews to recreate the crime and the Warren Commission’s investigation--examining the shooting, the assassination scene, the medical information and wounds, and the evidence found on the sixth floor of the Texas School Book Depository. 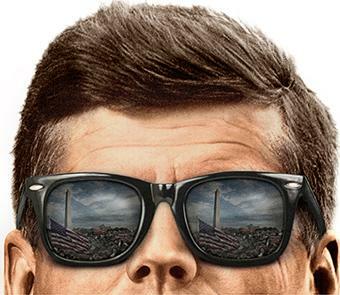 The film features several exclusive elements: For the first time since the original investigation by the FBI laboratory, forensic scientists trained and experienced in both firearms identification and shooting scene reconstruction review and evaluate the ballistics evidence in the JFK assassination. These experts apply new technology, not available until recently, to this historic crime. 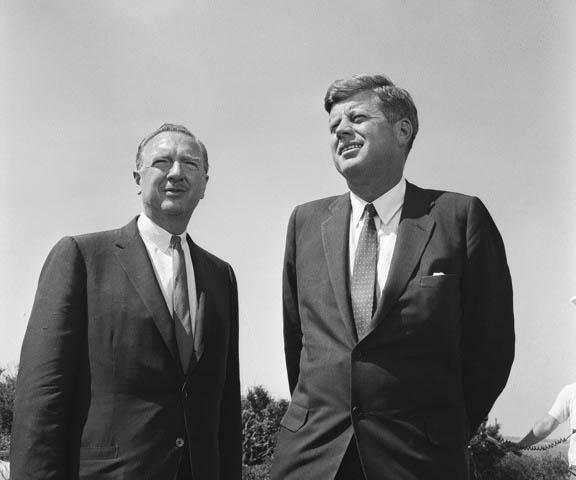 The assassination of President John F. Kennedy was a defining moment in our nation’s history and one that continues to perplex us. It was also the murder of a man. A half-century later, the shooting remains controversial to a majority of the public that doubts the Warren Commission findings that Lee Harvey Oswald acted alone. In Cold Case JFK, NOVA shows viewers the importance of re-examining the evidence of prior eras using the technology and tools of today to try to unlock the secrets of the past and yield important new insights.